There's no doubt that Christmas in Paris is a magical time. 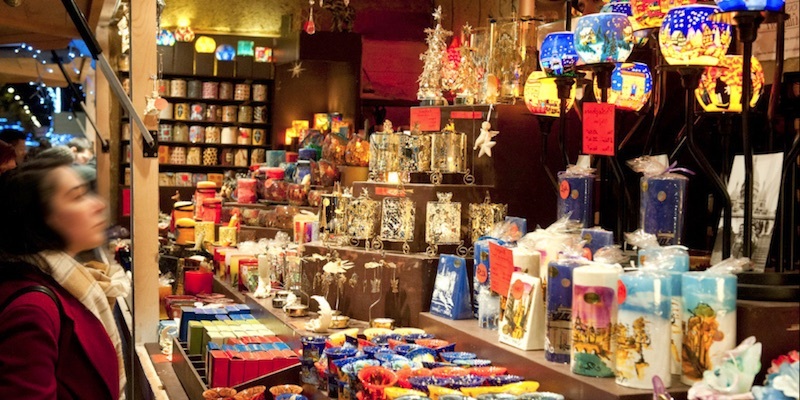 Shops glow with colorful Christmas displays, patisserie shelves groan with seasonal delights. Restaurants create special Christmas Eve, Christmas Day, and New Year's Eve menus that are filled with the bounty of the season — fresh oysters from Brittany, foie gras, truffles, chestnuts and champagne. You. In Paris. At Christmas. On the Seine River. Do we have your attention? 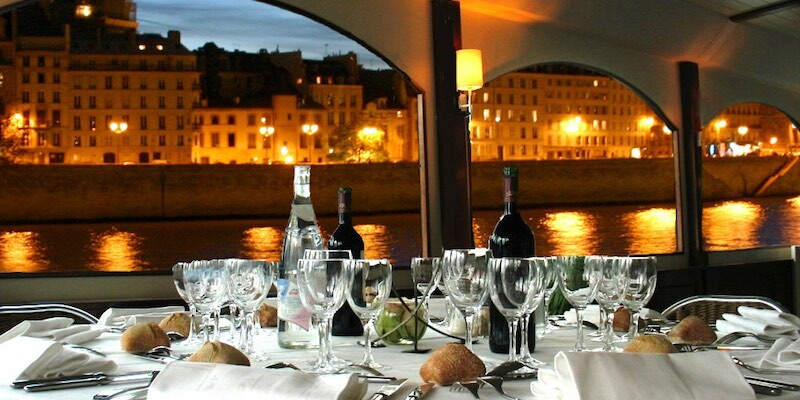 The night begins on the banks of the Seine where you'll board your floating dinner cruise. As you sip French wine and enjoy course after course, the illuminated monuments of Paris will slowly drift by. The specially-designed Christmas menu is infused with the best of the season. 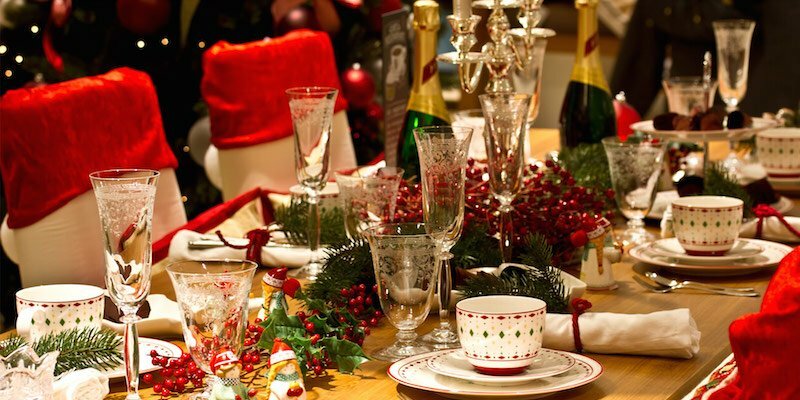 You start out with a glass of champagne along French seasonal classics like fondue, puff pastry, butternut soup, chestnuts and Christmas cake. Space is limited on this Christmas dining extravaganza. The December 24, Christmas Eve dinner cruise is already sold out, but there are a few spaces left for December 25. 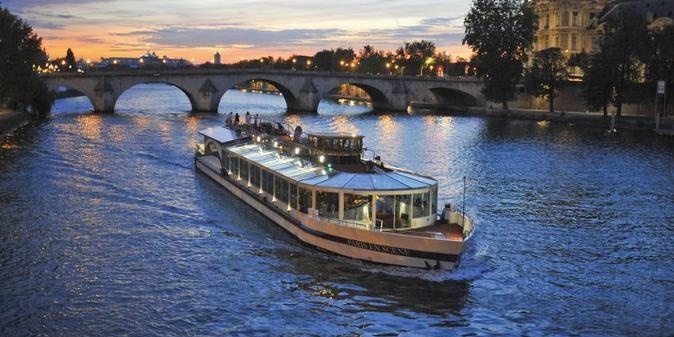 You can still reserve a table to experience a magical New Year’s Eve in Paris on the Seine. 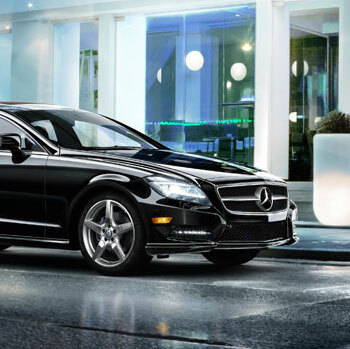 Choose hotel pick-up and return for the best experience. Dinner dancing & celebration. The evening begins when your driver meets you at your hotel and whisks you to the river. 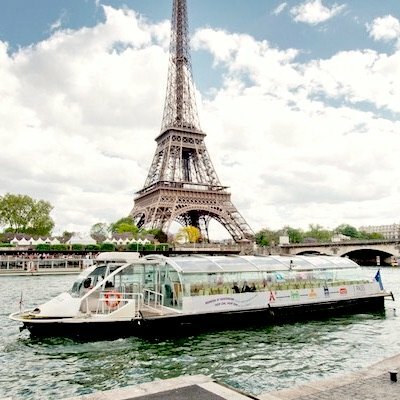 There you board your dinner cruise boat, Bateaux Parisiens, specially designed for great viewing and great dining. Then it's nearly three hours of magical cruising along the most famous, and most beautiful, river in the world. The view and the slow pace of the boat are the stuff of dreams. Take in this beautiful city as the sun sets and the buildings light up. 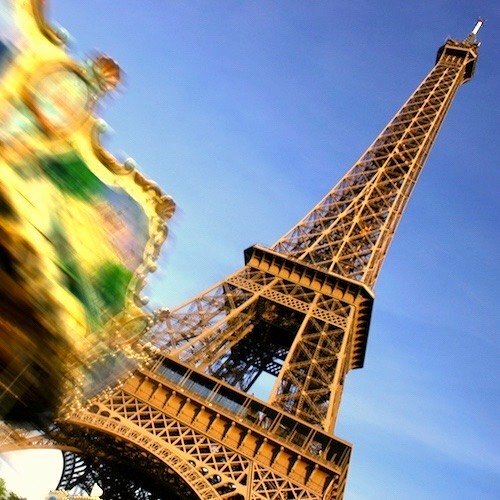 You cruise from the Eiffel Tower upstream past everything Parisian. Somewhat beyond the Paris islands the boat turns around and you head downstream to turn around again at the Statue of Liberty, arriving back at the dock just in time for the Tower's 11 PM light show. Be certain to book this VIP cruise (with the Premier menu) that gets you a table at the front of the boat for the best views, better service, wine with dinner, and includes hotel pick-up and return. Of course there are glasses of champagne at the beginning and the end of the dinner as well! 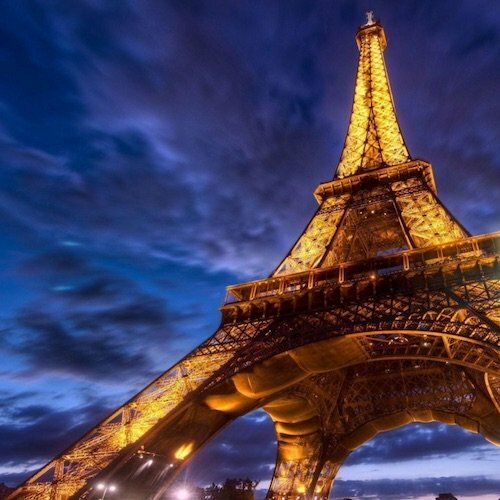 What's not to love about this all-in-one activity that combines the Eiffel Tower, French cuisine, the Seine River, and the world's most popular cabaret — the winning ingredients for a special evening out in Paris. The night begins when your driver meets you at your Paris address. First stop is restaurant 58 Tour Eiffel, on the tower itself, with birds-eye views of the Seine and Trocadero — in fact, all of Paris. The great thing is you get to enjoy the views of Paris while you dine on a traditional 3-course French meal. After dessert, it's a short stroll to the river bank to hop aboard a bateau for a cruise along the famous river to admire the Christmas lights. 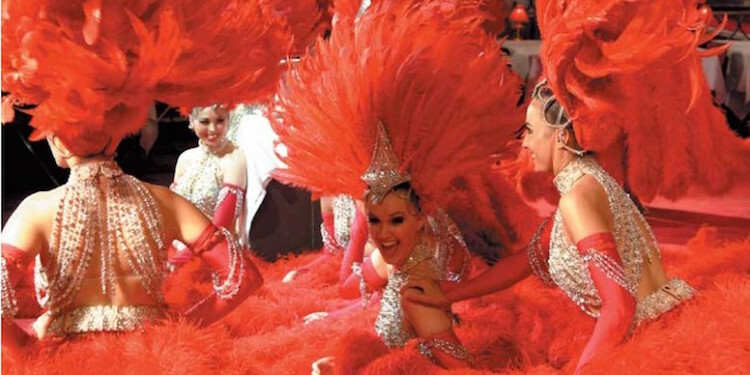 Next you are whisked across town to the Moulin Rouge for a lively performance at the historic cabaret. This combined activity is available most days in December, but you must book early! Includes return transportation to your hotel at the end of the evening. When you're in Paris a cruise along its famous river is pretty much mandatory and that applies doubly during the holiday season when the city is decked in Christmas lights. If you're like us, you'll want to mash this together with a guided champagne tasting led by an expert sommelier. It all starts right at the dock, with priority access to the bateau. You are escorted to a private tasting room in the front for the best views of Paris. And, of course, lots of champagne. Your sommelier takes you through tastings of three champagnes — Brut, Demi-sec and Rosé — as the best of Paris slowly drifts past. Thursdays, Fridays, Saturdays in December. Here's another holiday river cruise + dinner we think you're going to like. Once again it's a combination of two iconic activities, creating a special winter night in Paris. 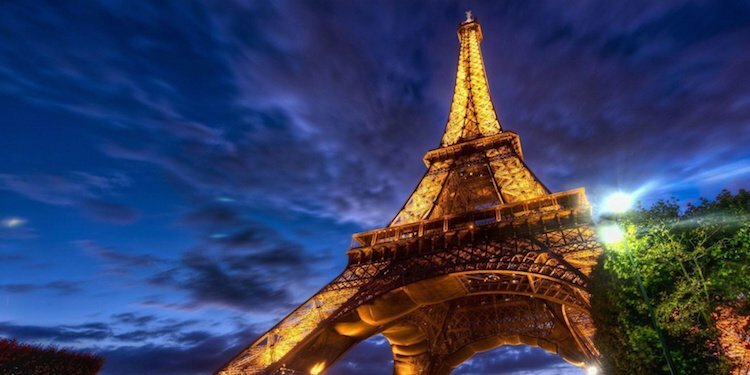 Enjoy the panoramic views of Paris Christmas lights in the distance from the 58 Tour Eiffel on the Eiffel Tower — the best vantage point in the city. The restaurant itself is styled like the airships of an earlier era and imparts a nice nostalgic feeling, but with really good food! Your evening's not over yet. 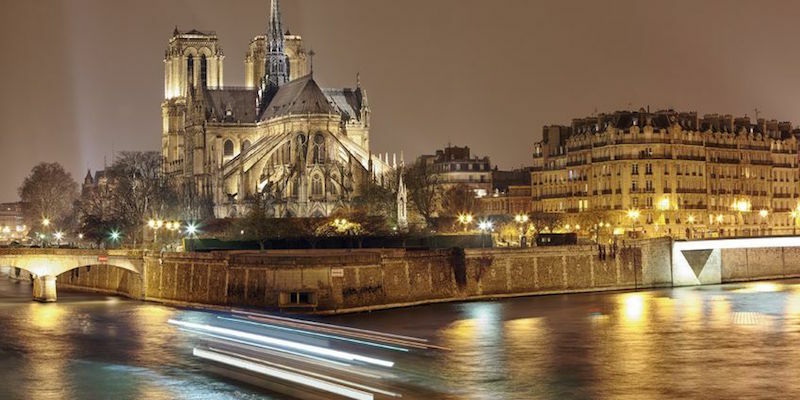 After dinner you stroll to the nearby banks of the Seine for a one-hour illuminations cruise. Tours are available throughout the Christmas season, but you must book very early! Seriously. If any cabaret in Paris out-spectacles Moulin Rouge it's Lido de Paris, located in the centre of things on Champs-Elysées. But this activity includes more than that, since it kicks off with an illuminations tour of the city — see all the holiday lights and famous monuments lit up just for you. (Or so it seems.) 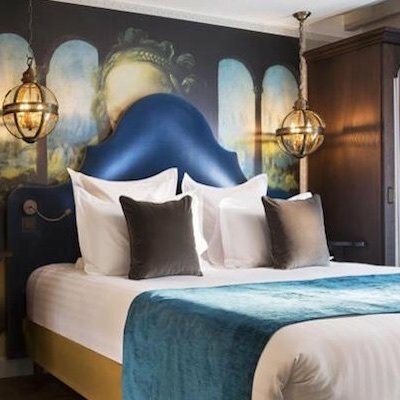 The tour takes you past all the iconic sights & quartiers — Saint-Germain, Hotel de Ville, the Grand Palais, the Arc de Triomphe. And of course past the fabulous Christmas lights on Champs-Elysées. At the Lido you sip on a glass of champagne while taking in the fabulous show featuring the Blue Bell girls. Dancing, music, hundreds of costumes, even a real ice rink feature in this evening you won't soon forget. There's still availability for Christmas Eve, Christmas Day & New Years Day. 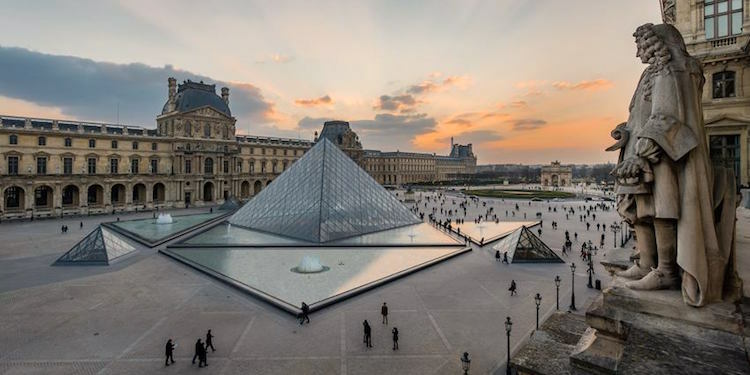 The Louvre is something you must see when you're in Paris, no matter what time of year you are here. But 10 millions visitors a year means the tickets lines are always long. To avoid waiting for hours, we always opt for this guided tour that takes you past the lines and directly to the Mona Lisa. (And other great works, of course!) Don't worry, you'll have plenty of time to wander. Good news is that these skip-the-line tours are available through the season, including on New Years Eve. 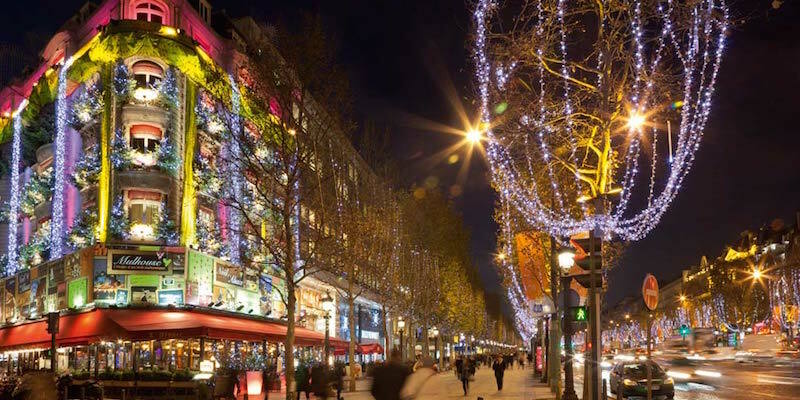 See the holiday lights of Paris sparkle from the top of a double-decker bus. You get a blanket a warm drink, and the most glorious view of the city. 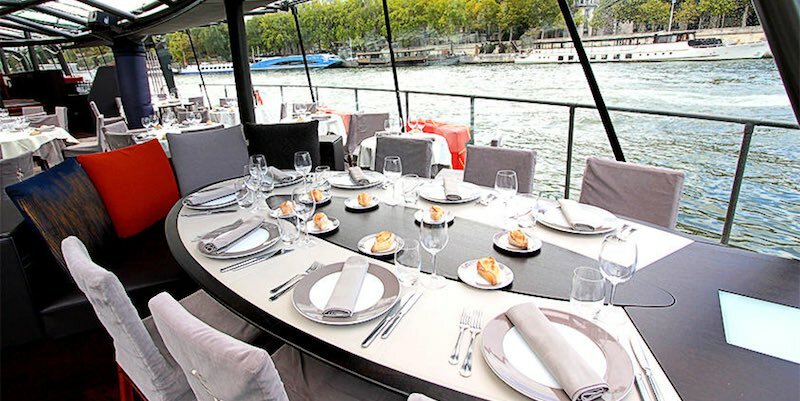 On a river boat specially designed for serving elegant meals (and for allowing great views), you dine on white tablecloths while cruising past the landmarks of Paris. Your bateaux, La Marina, departs from a dock right across from the Jardin des Tuileries. 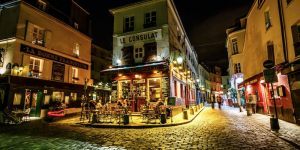 While all the iconic monuments drift past, you'll be lunching on noix de saint jacques, saumon fumé, foie gras de canard, pavé de bœuf and other French specialties. This cruise is very popular during the holiday season, so book as early as you can. Available on Christmas Eve (Christmas Day is sold out). The Eiffel Tower is very popular, and there are always very long lineups. We don't like to stand out in the cold in a Paris December. For that matter, we don't like to wait in line, period. So we always look for a skip the line tour. This is one of the most popular tours in Paris, and no wonder — it's the fast-track way to get up the city's most famous monument. You meet up with your guide at the base of the tower and are escorted past the long line to the Priority Entrance. You have to hurry — the dates around Christmas are already selling out quickly! Christmas lights in Paris at night — what could be better? 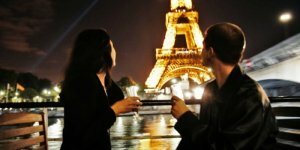 How about adding a river cruise and a skip-the-line nighttime visit to the Eiffel Tower? 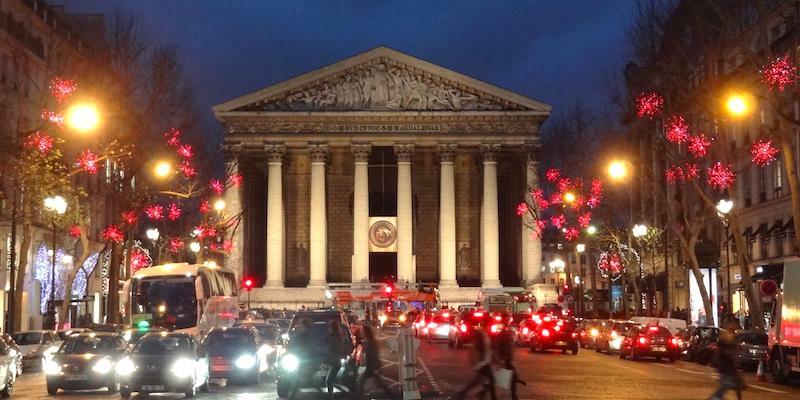 You'll see the iconic monuments and buildings aglow for the holiday season, including Palais Garnier, Place Vendôme, the Pantheon, Musée d'Orsay, and Champs-Elysées. 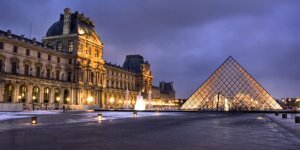 A cruise along the Seine in a glass-topped boat affords great views of the buildings and monuments that line the river banks. 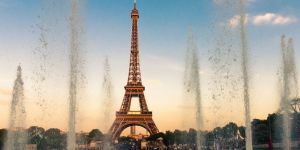 Finally, a priority-access ticket at the Eiffel Tower lets you skip the line-ups for the best views of Paris from on high. 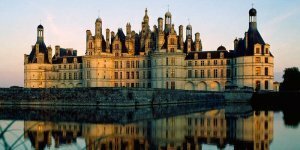 Paris is the perfect location for a day trip to the Loire Valley to explore some of the most spectacular castles you will ever see. 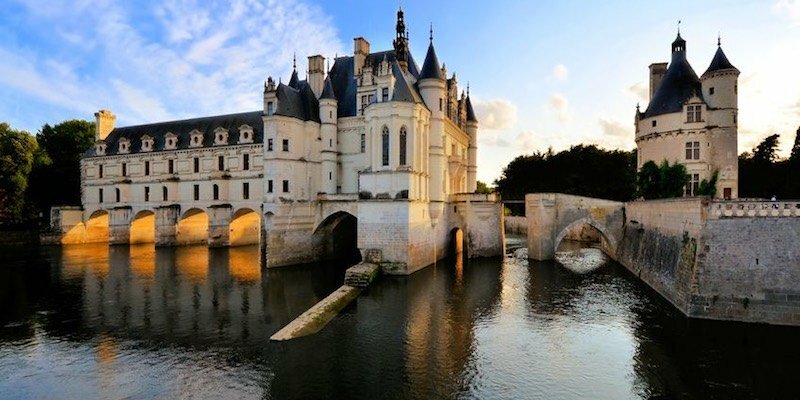 This full-day activity gets you to three of the most famous Renaissance chateaux — Amboise, Chenonceau (in the photo), and Chambord. The small-group tour ensures individual attention and includes lunch as well as transportation directly from your Paris address. You can also choose a private tour for just you and your party. 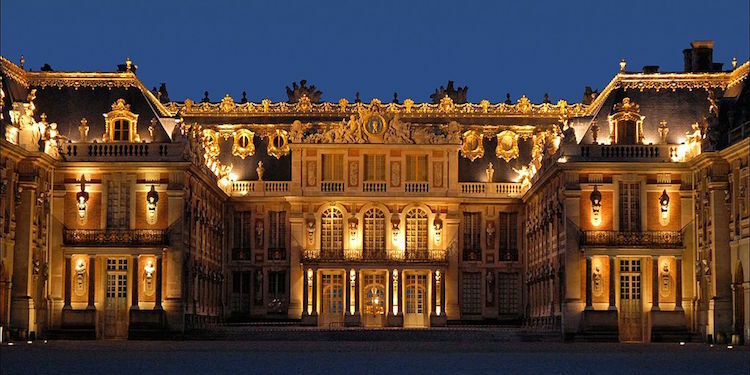 With this day tour you experience the best of Versailles in the best ways. 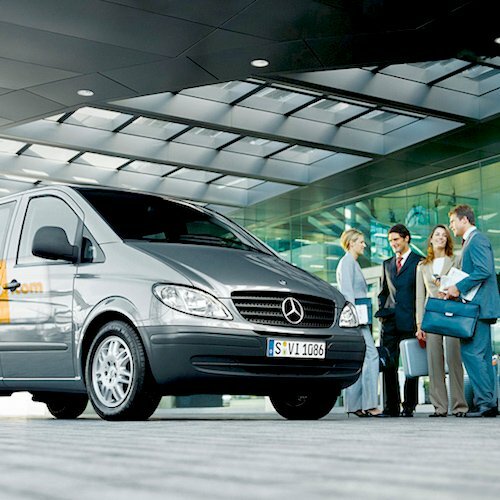 You travel from Paris by luxury Eurovan, then skip past the long entrance lines at Versailles with a priority-access ticket. 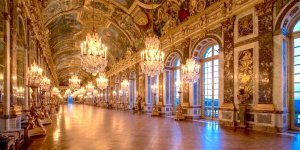 The tour takes you to the State Apartments, the Hall of Mirrors, and then explores the gardens of Versailles, beautiful even in winter. 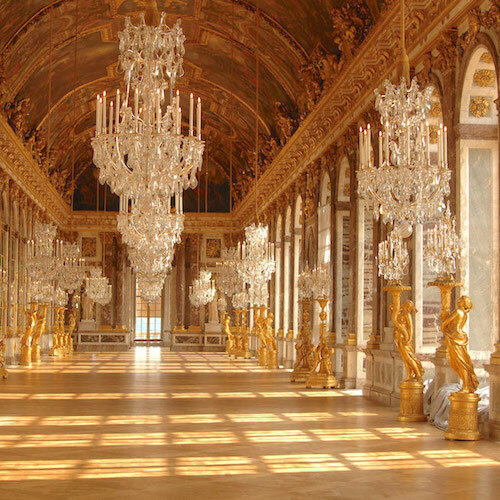 Take a break for a 3-course lunch near the Grand Canal, followed by visits to the Grand Trianon and the Queen's Hamlet. Includes hotel pick-up and return, a definite benefit. Also available as a private tour for just you and your guests. "I am drinking stars," the champagne monk Dom Perignon said upon tasting the first glass of a sparkling wine. Or so the legend tells us! 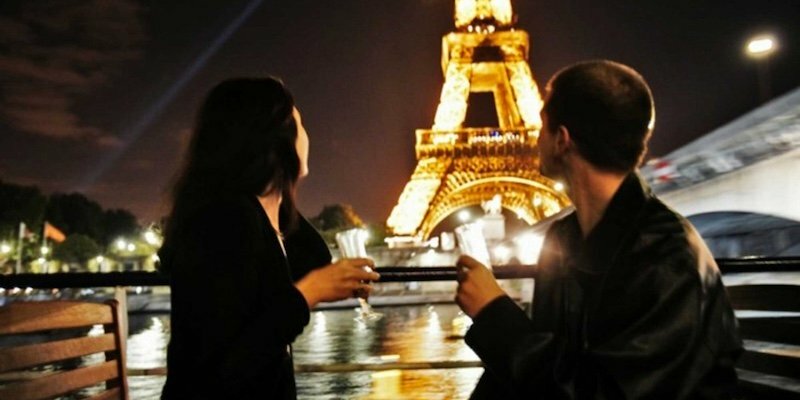 Now it's your turn to taste stars in the legendary Champagne Region of France during a Christmas sojourn from Paris. 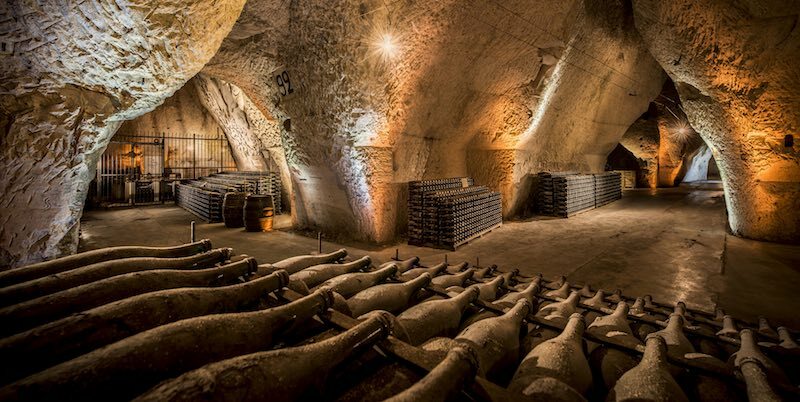 Your senses will be on overload as you wander through the Roman chalk caves, see how champagne is made, and taste the bubbly in elegant salons of Grand Maisons de Champagne . The day begins with your driver/guide meeting you at your Paris address then whisking you off through rolling hills towards Reims, the Birthplace of Bubbly. A 3-course lunch is included and the small group size ensures you get enough champagne! Tours available Wednesday, Thursday, Friday in December. A private version of the tour — just you and your friends — can be booked on any day you choose. 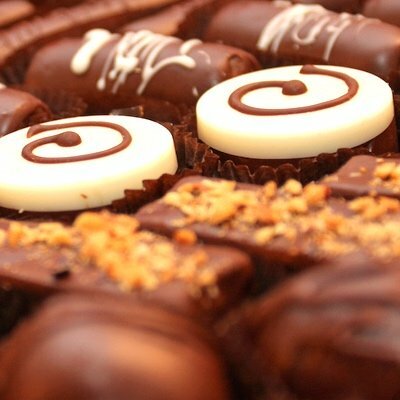 During the holiday season you can hook up with the special Christmas edition of this very popular chocolate and pastry walking tour. 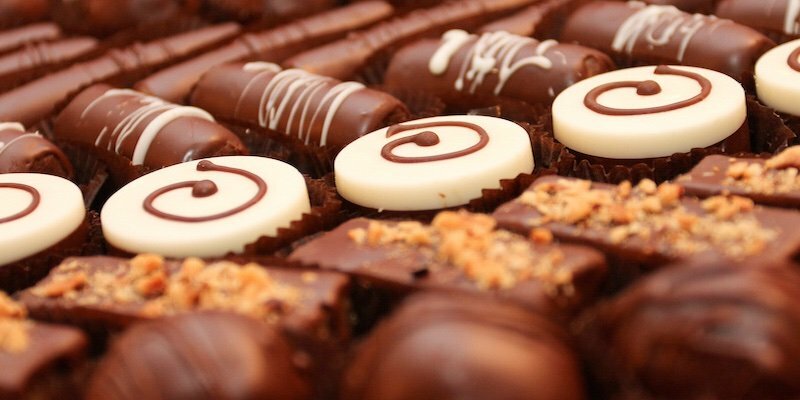 As we said, Christmas in Paris is all about food, and chocolate is perhaps the best example. Everyone's in the holiday mood as they pass out plenty of samples! This is one of the most popular food activities and, hence, likely to sell out. In Paris, La Saison Des Fêtes, the holiday season, is all about great food. On this small-group walking tour of the City of Celebration, you delve deep into the world of seasonal goodness — and you sample heartily! The tour starts at the renowned Christmas market on Place Saint-Sulpice, right in front of the magnificent church, and wanders through Saint-Germain. Bonnes Fêtes ! 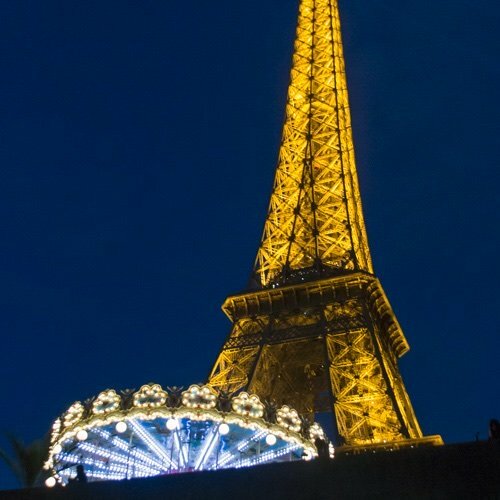 This is the perfect way to celebrate the season — high on the Eiffel Tower dining on a 3-course French meal at restaurant 58 Tour Eiffel. You get a birds-eye view of the city, with the Champ de Mars and the river Seine in the foreground while, in the distance, you see Les Invalides, Montparnasse Tower, and Montmartre as well as the rest of Paris. Wine is included, of course. 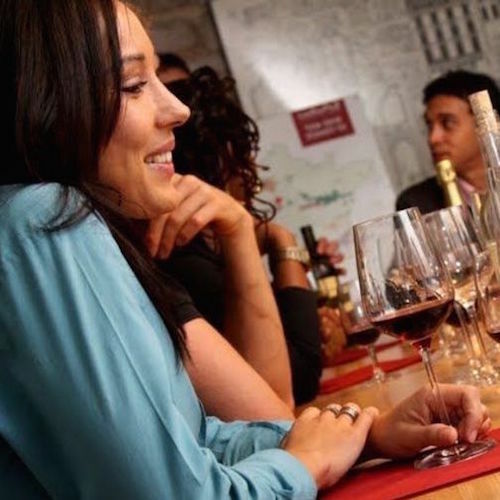 Everybody loves this season's newest food & wine tour. It takes place in historic Marais, where you start out at the oldest food market in Paris. 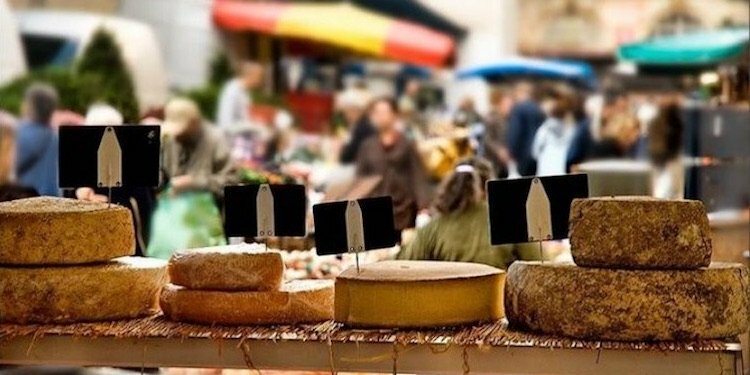 Then follow your food-expert guide through this medieval neighborhood to visit the top food & wine shops, tasting the best of French food like cheese, charcuterie, baguettes, chocolate, and wine. Oh, and there's lots of sampling! There's nothing like hearing classical and spiritual music in this famous 850-year-old cathedral — especially during the holiday season. 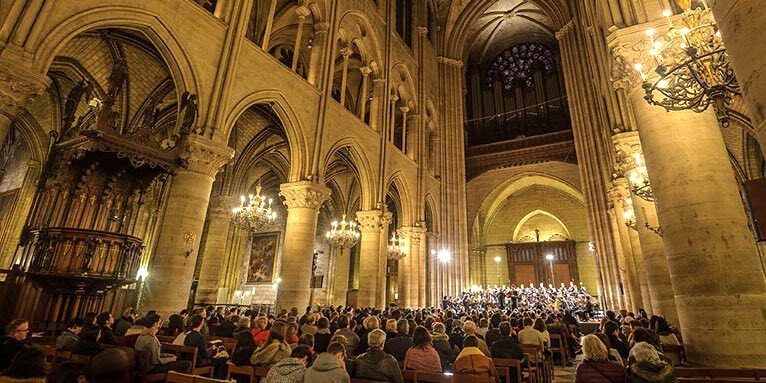 Attending a concert at Notre-Dame Cathedral will be one of the highlights of your Noël visit to Paris. 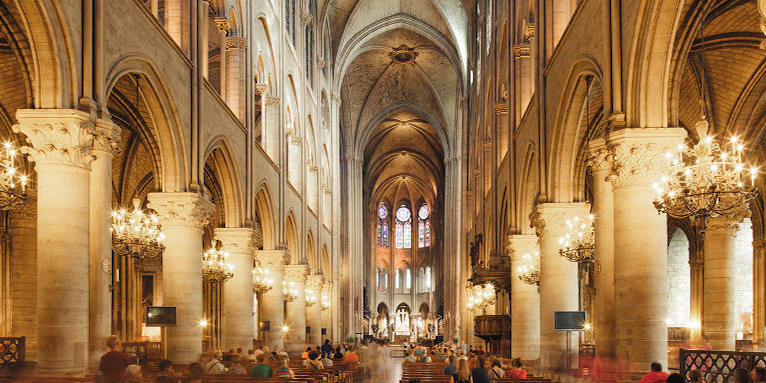 This December there are four opportunities to experience a concert at Notre Dame Cathedral — Christmas concerts, Gregorian Chants, and English music. Check the schedule for more information and to book your seats. Lose yourself in the magic of the most popular performances for the holiday season at either Saint-Germain-des-Prés, La Madeleine, Église Saint-Paul-Saint-Louis, or New Years Eve at Saint Eustance. 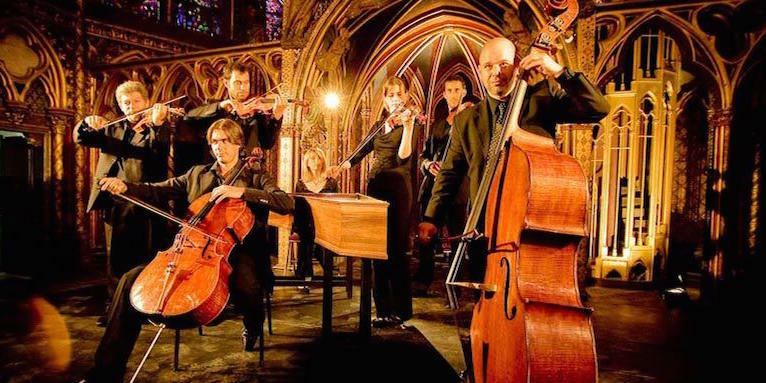 We can't think of a better musical way to celebrate the holiday season than a classical concert at the stunning Gothic church on Île de la Cité. 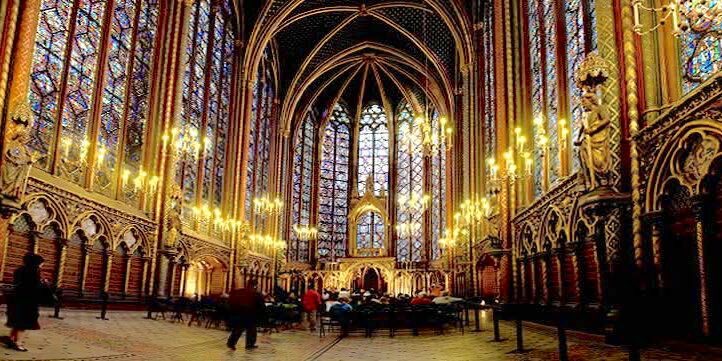 La Sainte Chapelle, the 14th-century personal chapel of the kings, is sporting a restoration that featured extensive cleaning and repairing to the structure's famous stained-glass windows. Experience the royal chapel with works by Bach, Henry Purcell, and Corelli. In addition to lights, goodwill and lots of good food & wine, Christmas in Paris means music, music, music. 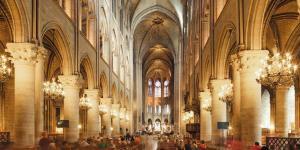 Not just in the modern concert halls, but also in the historic churches and cathedrals of Paris. A Christmas concert at one of these historic venues is something you will never forget. The most popular Christmas market in Paris has traditionally been located on Champs-Elysées. However, it was closed last year by the Mayor's Office over a dispute with the market operator. This Christmas, 2019, an alternative market will be opening nearby in the Tuileries Gardens. 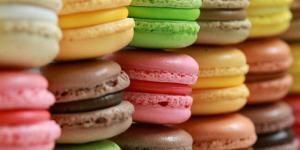 Expect about 100 chalets offering a plethora of French seasonal foods and gifts. This year designer Karl Lagerfeld switched on the Christmas lights, inaugurating the holiday decorations at the November 22 ceremony alongside Paris Mayor Anne Hidalgo. Lighting specialists Blachère Illumination have illuminated the 400 plane trees that line the two-kilometre stretch with a brand-new red color scheme. The lights will be turned on between 5:00 PM and 2:00 AM and will stay on all night on Christmas Eve and New Years Eve. Called patinoires in French, the festive skating rinks dot the Paris landscape from mid-December to late January. No need to bring your skates, rentals are available. 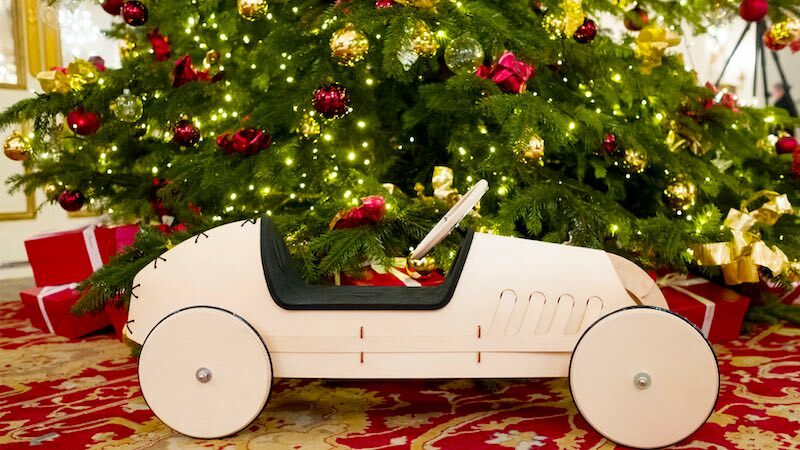 For the fourth year, the Grand Palais will be transformed into a winter wonderland for the Christmas holidays. (See photo above.) 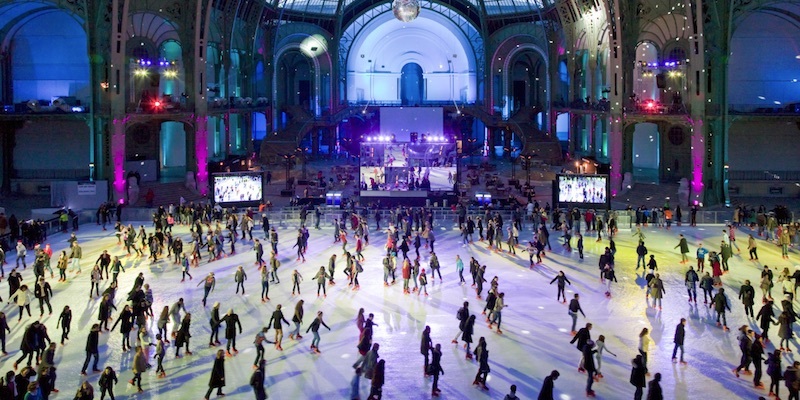 Set beneath the iconic glass roof, it's officially the biggest skating rink in France. Check the website for hours and how to book tickets. Yes, you can rent ice skates. "What's open on Christmas Day in Paris?" readers ask us. So, for the lucky visitors who will be here on December 25, we've compiled the best things to do. Most shops, museums and many restaurants will be open. Although Christmas Eve and New Year's Eve are not official holidays in France, the train stations will be packed as Parisians head out for their Christmas getaway. 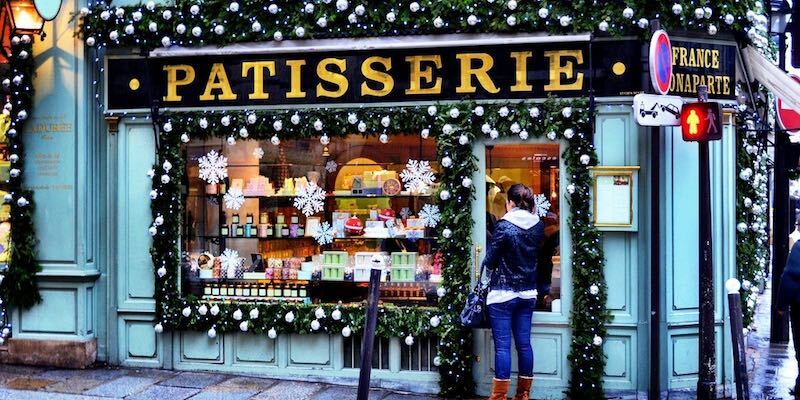 But be warned — chocolatiers, fromageries and anywhere food and wine are sold will be jam-packed with locals stocking up for Christmas and New Year celebrations. Make sure to stock up yourself as most everything will be closed on Christmas Day and New Year's Day. 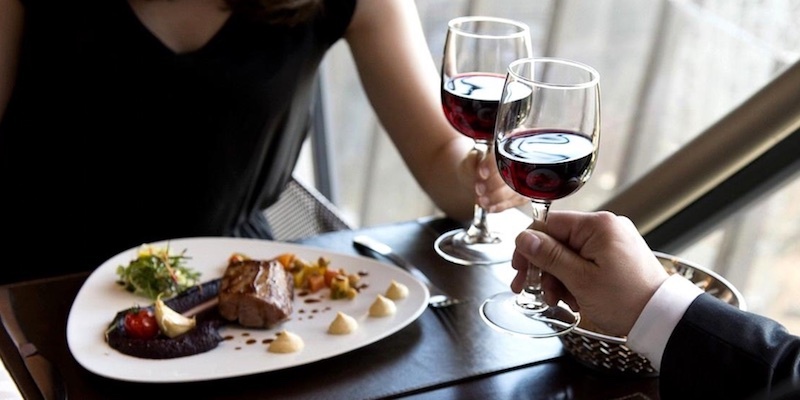 If you plan to dine out, make reservations well in advance around the holidays. The good news is that the Eiffel Tower is open 365 days a year. 11:00 pm Veillee de Noel, sung by the Children's Choir. 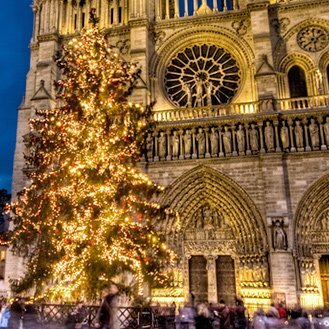 Celebrate Christmas at the famous snow-white basilica set on the highest point of Paris. There is a Christmas Eve organ concert at 10:00 PM and an 11:00 PM vigil and Midnight Mass. On Christmas Day there is Mass at 7:00 AM, 11:00 AM, 6:00 PM & 10:00 PM. It's recommended to arrive at least 30 minutes before the service. Set in the 8th Arrondissement close to Parc Monceau, this was the first Orthodox church in France, (established in 1861). Pablo Picasso and Olga Khokhlova were married here in 1918. 12, rue Daru. This historic monument is a a center for English-speakers in Paris. 23, avenue George V, 8th. This was the first American church established in Paris, in 1814. It's located on the left bank of the Seine between Pont d'Alma and Pont des Invalides. 65, Quai d'Orsay, 7th.